This book contains a treatment philosophy and processes designed to reduce or eliminate chronic pain without surgery, oral medication or intensive rehabilitation. This user-friendly book, organized by body regions from the feet to the head, contains an abundance of photographs and a multitude of simple exercises, many of which can be implemented directly into your daily routine. 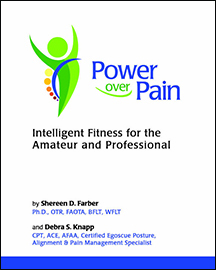 Topics such as postural alignment, balance, respiration, and recommended equipment complement the text. Also included are interactive segments to chart progress and provoke thought.